I have some exciting news to share with you today. 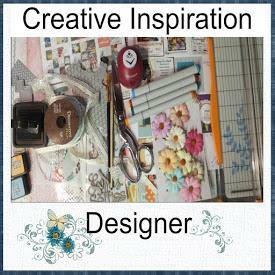 I have been chosen for the DT for Sketches:Creatively Yours. I am really looking forward to the next six months creating layouts for the sketches created by the very talented Ali. Congrats, Jackie! It will be fun working with you! Wow Congrats!! Can't wait to see what you do. WTG Jackie!! I am so excited to work with you!! Ali's awesome to work for too!! !